When I started the Specific Carbohydrate Diet (SCD) first, I dreaded the thought of having people over for dinner. I used to think that no one would eat my food because I had this image that I would be eating spinach and salads for every meal. Don’t get me wrong, I love spinach and salads but there are so many foods I can eat that I have grown to love. A delicious sweet and savoury appetizer that will impress your guests! Preheat the oven to 160°C fan 180°C electric/gas mark 3/320°F. 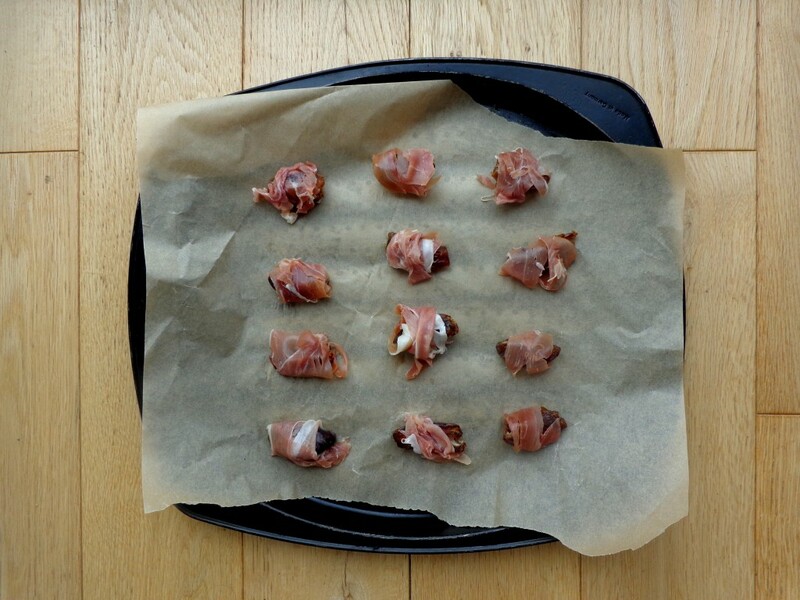 Place the halved dates on some parchment paper and wrap each in half a slice of Parma ham. Bake for 15 minutes. 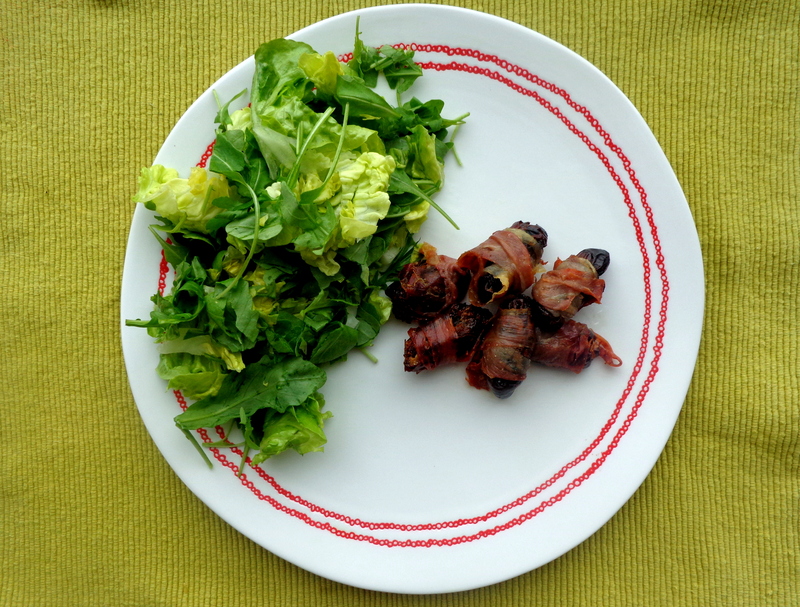 Serve with a green salad.